Sydney is one of the world’s must-see cities, and has a huge range of accommodation available in some very different areas across the city. 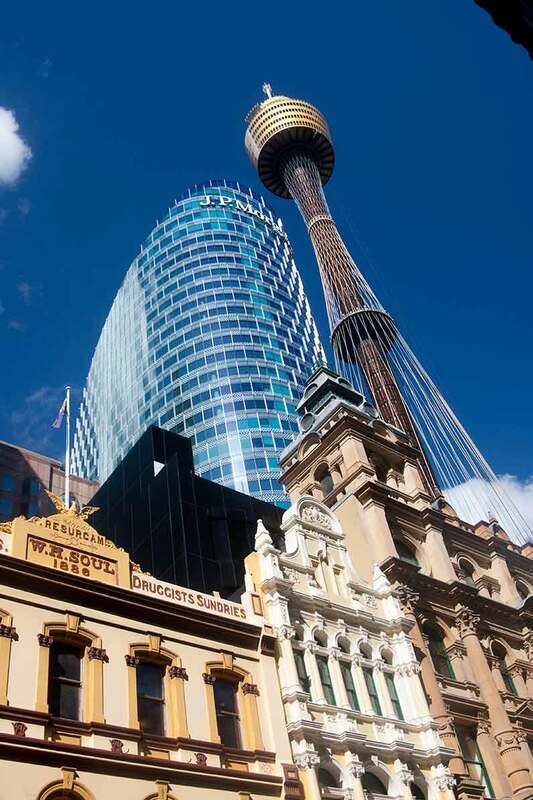 It can be confusing to work out which is the best area to stay in Sydney, there are so many great places. It’s possible to stay in a suite in a skyscraper overlooking the magnificent harbour, or in a tent on an island a mile or two upstream. Or there are hip inner city suburbs with great nightlife, or further out, beaches looking out onto the southern Pacific Ocean with magnificent ocean pools where you can take an early morning dip for free before hanging out at one of the many local cafes. In this article we will give you an overview of the best areas to stay in Sydney to help you plan a great trip. It includes information on each of the main areas in Sydney with accommodation, looking at possible pros and cons for each, rather than focusing on any individual establishments. We’ll be following up this article with features on individual suburbs to give you further detailed information. 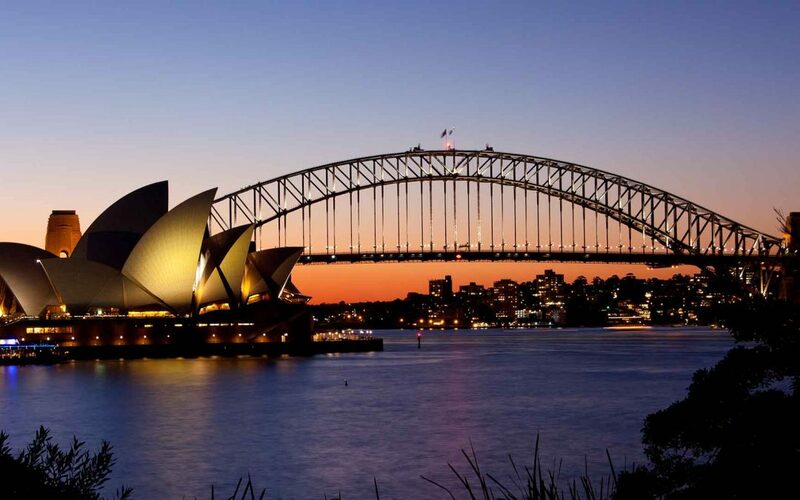 Ultimately it all depends on your own circumstances, budget, your interests and what you’d like to experience as to what will be the best area for you to stay in Sydney. If you wish to harbour-hop on the ferries or run and around and see all the big sights or museums, somewhere in or close to the centre is best for you. 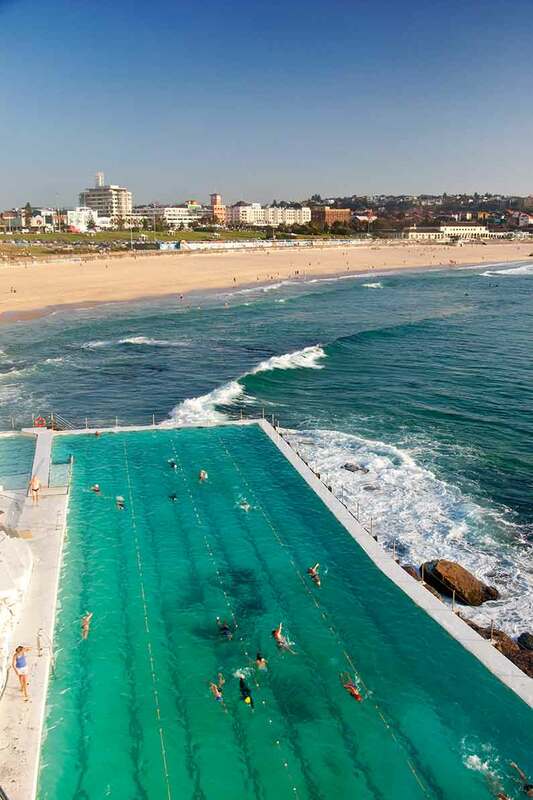 If you want a taste of beachside living, swimming in the ocean and dining in cafes by the sea then maybe you could pick somewhere like Bondi or Coogee. The centre (the Rocks district, Circular Quay and the CBD (city centre / downtown) has a great range of options, as do some inner city suburbs – Kings Cross, Darlinghurst and Surry Hills to the east, Glebe and Newtown to the west – and some of the beachside suburbs. Circular Quay is the obvious starting point for a visit to Sydney and it is also one of the best areas to stay in Sydney. It’s the hub of the city’s harbour ferry service, and Sydney’s two world-famous icons, the Opera House and Harbour Bridge, are right next to it. Immediately adjacent to Circular Quay, the Rocks is the oldest, most atmospheric part of the city, with many buildings dating from the 19th century, through to the early 20th. The area is located on a hillside, with several streets linked by steps and alleyways, and is home to some of the city’s oldest pubs, not to mention a wide range of restaurants and clubs. You’re never more than ten minutes away from the city’s ferry hub, Circular Quay, with its adjacent train station and bus stops. If you intend using the ferries to hop around the Harbour, the Rocks and Circular Quay are ideal places to stay. There’s also a great weekend market selling lots of handicrafts along atmospheric Playfair Street. The area is also very close to two great walk locations. To the west there is the new Barangaroo Reserve with outstanding views over the Harbour on a landscaped area formerly occupied by the city’s gas works. In the opposite direction, the beautiful green space of the Royal Botanic Garden is a few minutes’ walk to the east of Circular Quay. 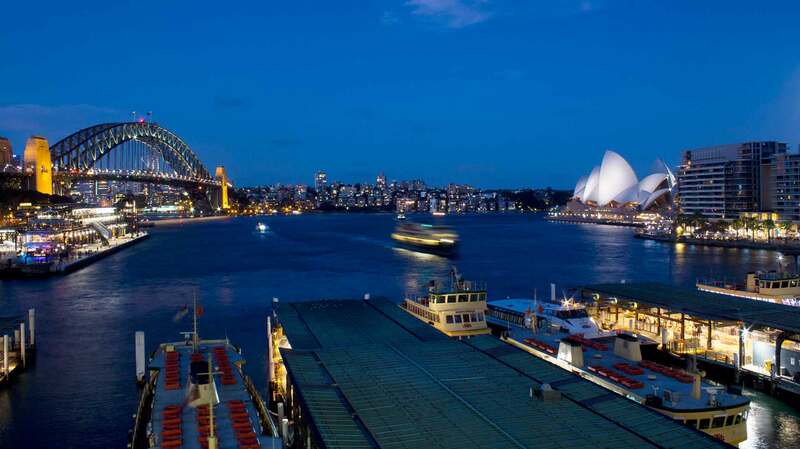 As for places to stay, there are choices from some of the big chains around Circular Quay and at the southern end of the district with amazing harbour views to small hotels and pubs and a youth hostel. These often come at a premium, but for being at the heart of things, the Rocks is a great choice. The CBD (city centre to the British, downtown to Americans) is the area between Circular Quay and Central Station, the concrete corridors of skyscrapers where big business, luxury hotels and some of the best shopping and eating in Australia can all be found. Much of the accommodation is high end and high-rise, with some spectacular views – just remember that the further from the harbour you go, the less you’ll see of it, and the more you’ll see of other high rises. If you want to see the harbour from your room, you need to look for somewhere in the northern end of the CBD, towards the Rocks. 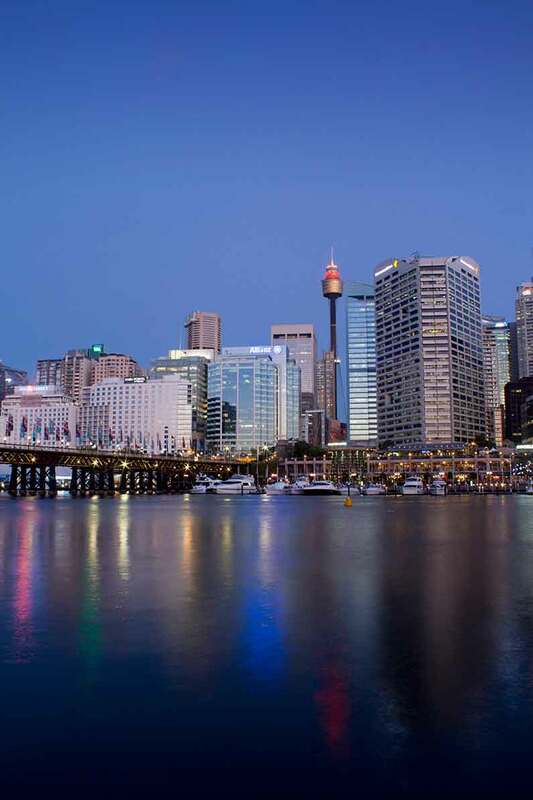 You’re very close to everything in the CBD, including ferry and bus connections and the sights around Circular Quay. Ideal for a weekend away being pampered or for a shopping expedition at the QVB and nearby Pitt Street. wonderful food in Chinatown. It’s also a great place to stay if you need to catch an early morning train or bus. Darling Harbour is the busy, popular waterfront area on the western edge of the CBD, and the area is full of attractions from museums to the biggest playground in the city, not to mention a huge range of restaurants (including many chains) and the fantastic view of the city lights at dusk. There are plenty of accommodation options, especially chains, and popular with families, and you can pick up some surprisingly good bargains in this part of town. The only drawback with Darling Harbour is that it seems a bit out on a limb as far as public transport is concerned. There are regular ferries from Circular Quay, and the light rail also passes close by, but there always seems to be a fairly long walk or two involved – fine for me, but not for everyone. Kings Cross, Sydney’s main red light district, is a very small area – essentially a large junction and a street leading off it for a few blocks – but it has always had a murky reputation. Having stayed close to it recently, it didn’t strike me as very threatening, but with a few overflowing bars and seedy strip joints it has more than a whiff of the underbelly about it. However, the backpacking scene continues to flourish, with lots of options in the streets off Darlinghurst Road and Macleay Street. 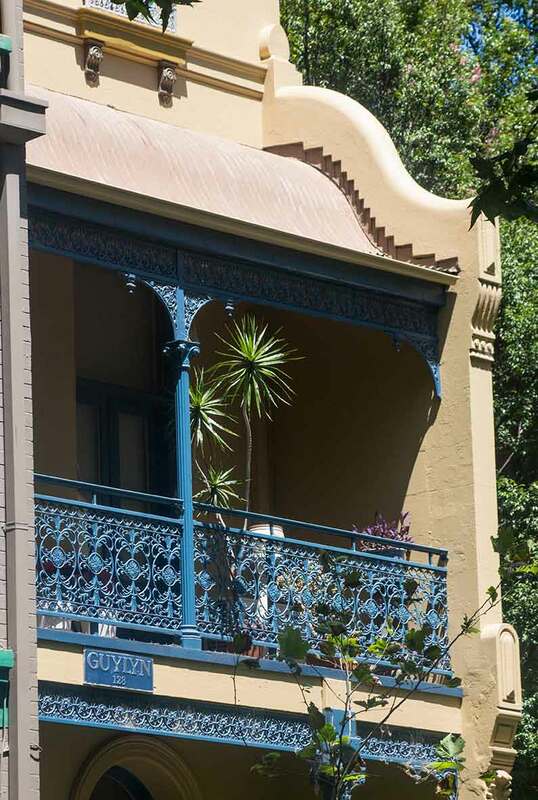 Potts Point is the Cross’ northern neighbour, very different in character with tranquil tree-lined residential streets, beautiful verandaed Victorian houses and views over the harbour to the city. There are also lots of cafes and small restaurants along main routes such as Victoria Street. Transport connections are very good, with Kings Cross station at the end of Victoria Street, and Darlinghurst Road busy with buses linking the city in one direction and the beaches in the other. 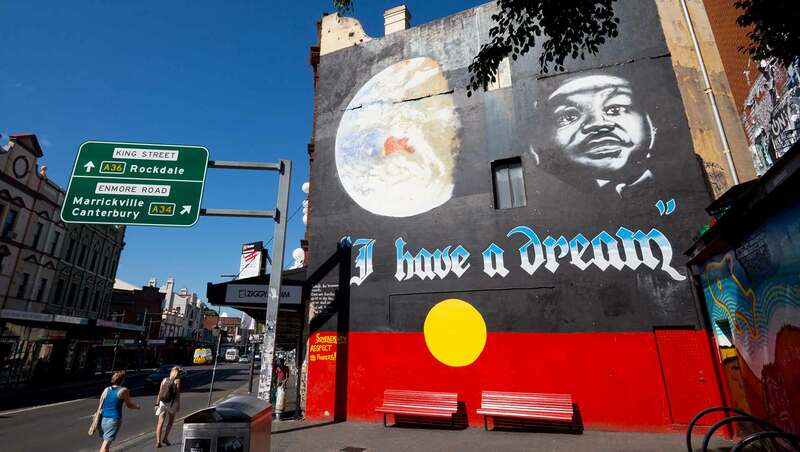 These neighbouring suburbs, which between them cover the ground from Kings Cross in the north to Central station and Redfern to the south-west – also make great bases to explore Sydney. Both these areas have a great deal going for them, especially when it comes to nightlife, with an abundance of places to eat out and drink. Darlinghurst, immediately to the south of Kings Cross, has so many great options, and if you’re in the northern part of the suburb transport links are a bit quicker than elsewhere, with the train at Kings Cross. Darlinghurst and neighbouring Paddington are at the heart of Sydney’s gay scene, and the annual Mardi Gras parade passes along Oxford and Flinders Street in the heart of Darlinghurst. Surry Hills, immediately to the east of Central station, covers a wide area and is very well-connected with buses – you might have to change at Central to get to a lot of the sights, but that seldom takes long. 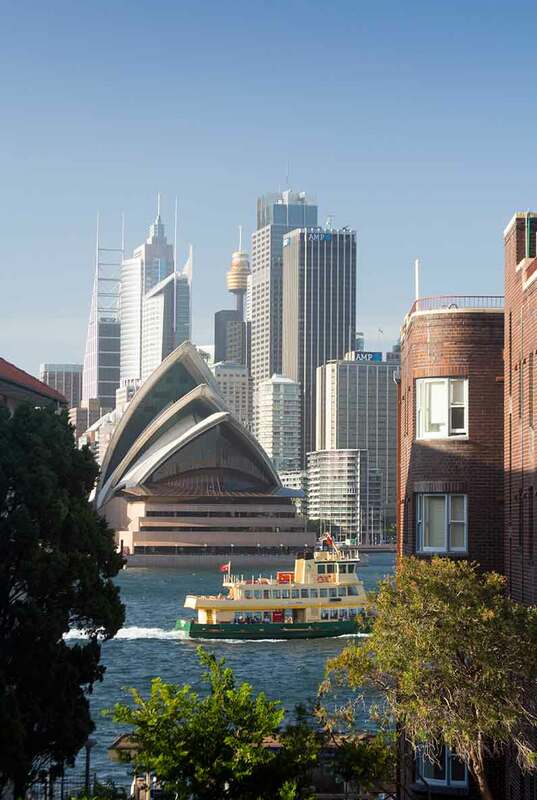 Hilly Kirribilli is directly across the water from the Opera House, and sits in the shadow of the Harbour Bridge, and some waterfront apartments with these outstanding views are available for rental. There are also a couple of good budget options a ten-minute walk away from transport. There are three relatively quick ways to get to Kirribilli – the train to Milsons Point station, very close to the ‘village’, and ferries either to Kirribilli wharf (at the bottom of some steps on the east side of the suburb) on the Neutral Bay route, which run every 30 minutes, or Milsons Point wharf outside Luna Park fairground, which is a 15-minute walk away. The adjoining suburb of North Sydney has a few chain hotels – some with amazing views across the Harbour – and pubs with accommodation, and the North Sydney train station is ideal for some of these. The only drawback with this area is that it is rather lacking in character. Beyond here, options are pretty sparse as you head east along the North Shore. We’ve used Manly as a base for exploring Sydney several times, and we heartily recommend doing so. You feel a world away from the CBD when walking along Manly Beach at sunrise, where you’ll invariably be joined by runners, surfers and cross-training groups. This is the sunny outdoor Aussie lifestyle many imagine before actually visiting – I certainly did. So apart from one of the most enjoyable public transport journeys in the world – the F1 ferry – to get there and back, and several beautiful beaches, does Manly have anything else going for it? There’s a good range of accommodation, often a little less than you’d pay for something comparable in the city, and most places are only a short walk from the ferry wharf. There is good coffee aplenty, lots of food options around the main street, the pedestrianised Corso, and shops where you can stock up on food if you’re self-catering. Staying near one of the beaches can be a great way to spend your time in Sydney and to get a real taste of Sydney beachside living, to many this is a taste of living the quintessential Australian dream. . At Bondi – the most famous in the city, if not the country – you’re very close to the city (25-30 minutes on frequent buses to Central and Circular Quay) but with a very different feel to the centre. Seeing the sun rise over the Pacific Ocean is a wonderful way to start the day, and you can surf in the sea or swim in the spectacular Icebergs pool at the southern end of the beach, or take the popular path down the coast to Coogee. Breakfast by the beach is a popular Sydney past time and Bondi is full of cafes where you will find people having a meal at all hours of the day after a dip in the ocean. 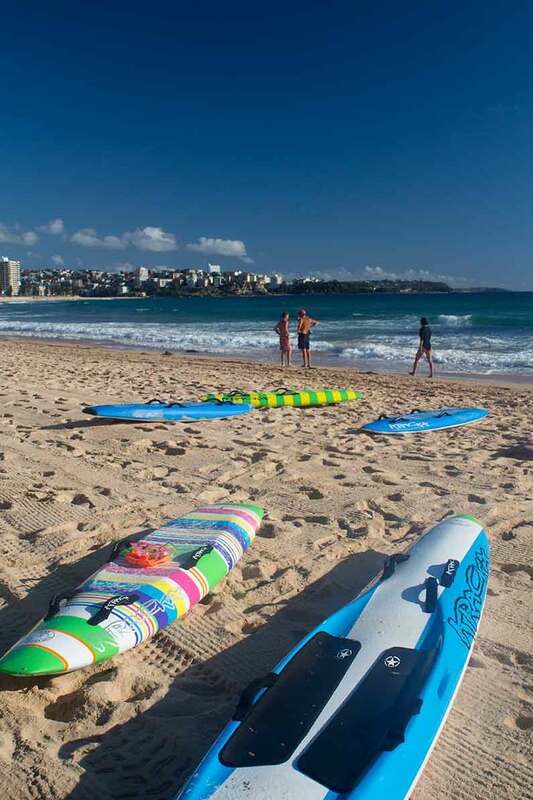 Bondi has a huge range of accommodation, from dorm beds in hostels to exclusive hotels and apartments along and just behind the beach strip, Campbell Parade. Coogee, at the other end of the famous coastal walk from Bondi, is quieter and lower key than its neighbour to the north, but it makes an equally good base from which you can explore Sydney. 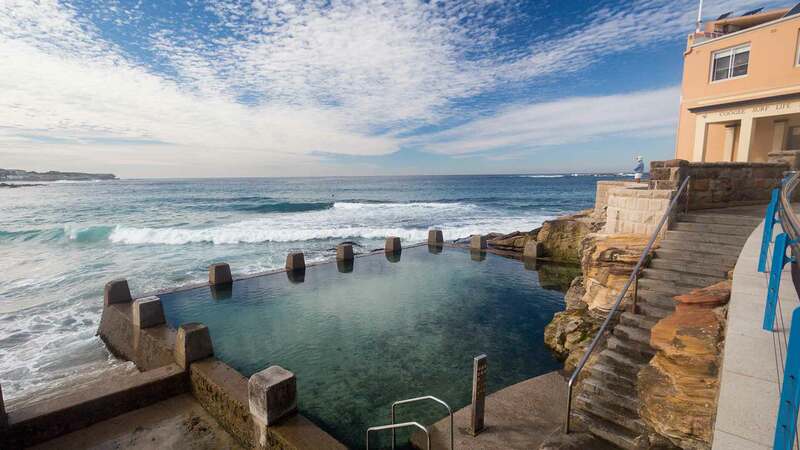 It has a great beach, not to mention some of the best rock pools and baths in the city. It’s around 25-30 minutes on the bus from the city, has plenty of good places to eat and has accommodation options from backpacker hostels to boutique hotels and apartments. Newtown has long had a reputation of being one of the most bohemian of Sydney’s suburbs. It is a couple of miles south-west of Central Station, and centred around main thoroughfare King Street, to the south of the university. The backstreets have some of the best street art in the city, and are always a pleasure to explore, while King Street and its side streets have a huge range of cafes, bars, pubs and restaurants. There are plenty of hotels, and it’s worth considering if you’re looking to rent for a few weeks or so. Also great as a base if you’re staying down for a gig at the nearby Enmore or Annandale. University halls in nearby Camperdown are also opened up as accommodation outside term time. Transport connections – buses every few minutes, trains just four stops from Central – make Newtown a very convenient option. Glebe is a suburb in the city’s inner south-west that has a great choice of pubs, bars, cafes and restaurants to while away a few hours and a good mix of accommodation to boot. It’s very close to the city, well-served by both the light rail and buses. The former connects Glebe with the attractions of Darling Harbour, while it’s only a short hop on the bus along Broadway to Central. Apart from some nice quirky cafes and shops along Glebe Point Road, there are also lovely walks to Blackwattle Park, for views of the landmark Anzac Bridge, and the University, just to the south in Camperdown. On Saturdays the area gets busier as people from all over the city flock to Glebe Markets, in search of all kinds of treasures old and new, not to mention some great food. A good choice.